There are 10 lime green plastic plates in a single pack. 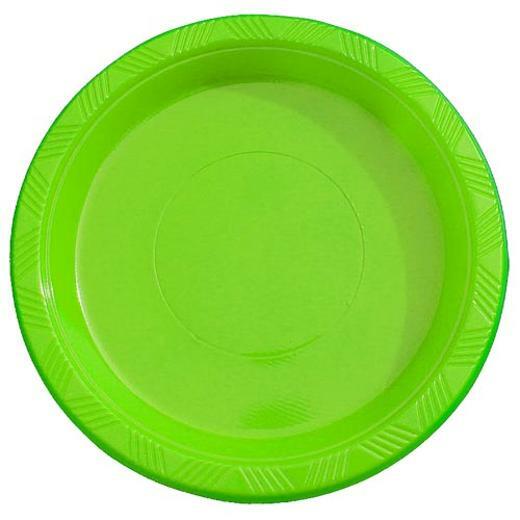 Each of the 15 lime green party plates measures 7 inches round. They are made of high quality plastic. They are perfect for desserts and salads. Lime Green Beverage Napkins - 20 Ct.
Cerise Luncheon Napkins - 20 Ct.